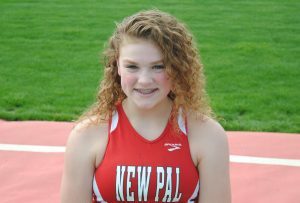 The New Palestine track teams finished eighth Friday at the 28-team Zionsville Invitational. The Dragon girls tallied 44 points and were just 14 points back of fourth place. The NP boys tallied 29.5 points and were 8.5 back of sixth. 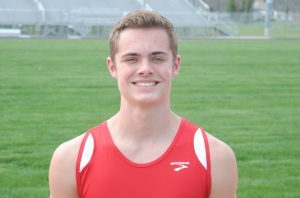 The NP boys had eight top-10 finishes in the meet, including two in the high jump. Laine Schonauer and Gavin Hausz were fourth and fifth, respectively, by clearing 6-0. Schonauer took fourth on the tiebreaker. Kyler Harrison had a top-five with a fifth-place finish in the 3200 (9:50.21). 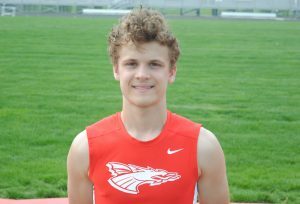 Drew Austin was eighth in the 1600 (4:34.64) and Spencer Worth ninth on the pole vault (12-0). The 4×800 relay was seventh, while the 4×100 and 4×400 both placed eighth. The NP girls had 11 top-10 finishes, including two each in the 100 and 400. Addy Halter had a pair of top 10s. She was eighth in the 100 (13.55), with TeTe Hart ninth (13.6). Halter was also ninth in the 200 (28.68). In the 400, Sophia Taylor was fourth (1:01.16) and Victoria Crowder 10th (1:02.35). 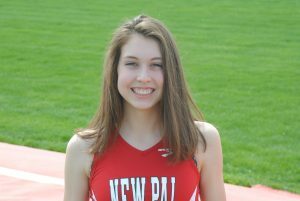 NP had two other individual fifth-place finishes, coming from Kaylin Casner in the 1600 (5:24.73) and Aden Lumbley in the shot put (34-5). Morgan Willard placed seventh in the high jump (4-10). All three relays finished in the top five. The Dragons’ 4×800 was second, 4×400 third and 4×100 fifth. 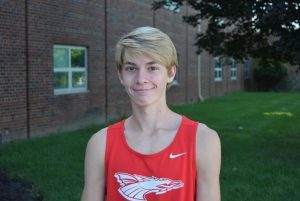 The Dragons next compete Wednesday in the Hancock County meet at Mt. Vernon. 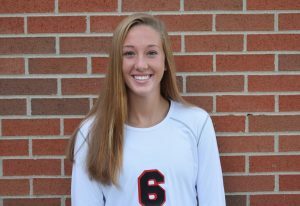 Laine Schonauer had a fourth-place finish in the high jump at Zionsville. Gavin Hausz was fifth in the high jump at Zionsville. Kyler Harrison was fifth in the 3200. Sophia Taylor finished fourth in the 400. Aden Lumbley placed fifth in the shot put at Zionsville. Kaylin Casner had a top-five in the 1600 at Zionsville.